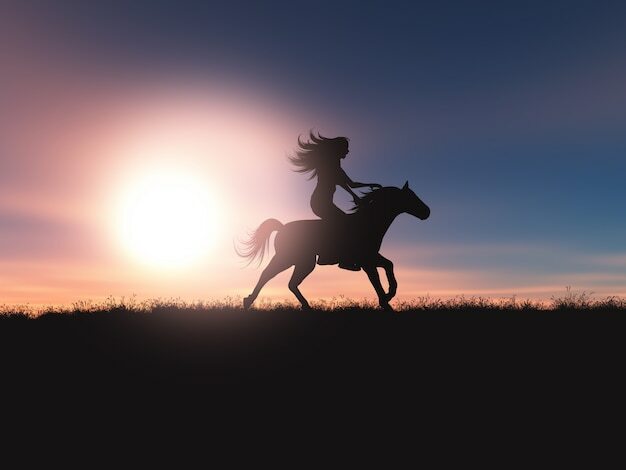 Horses have been a noble and loyal friend to mankind since roughly 4000 B.C. We share a special connection with these animals that nothing else could replace. Here is 15 strange and amazing facts about these beautiful creatures. Horse Hooves are made from the same kind of protein that your hair and fingernails consist of. 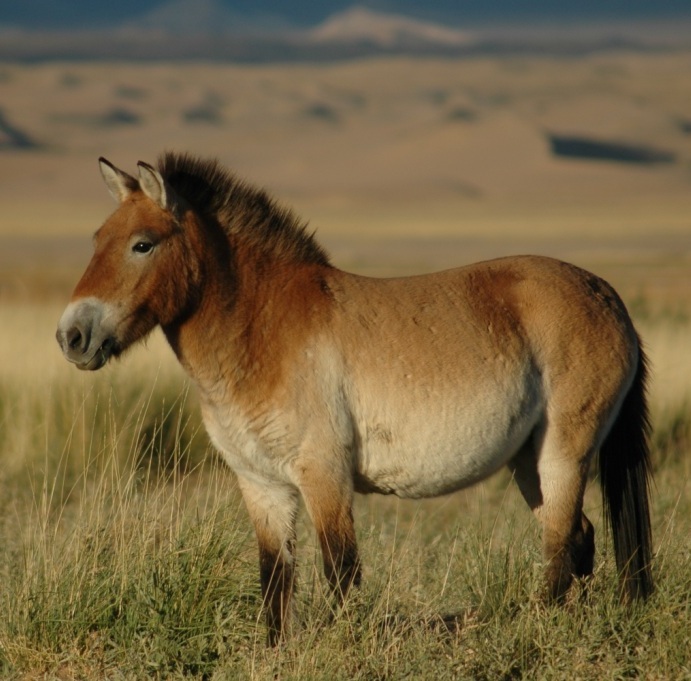 There is only one breed of true wild horses still in existence today called the Prezewalski’s. The only wild population is located in Mongolia. As most people know however, there are numerous populations across the world of feral horses eg mustangs in North America. There is only one species of domestic horse in the world. However there are 400 different breeds that are specialized in anything from pulling a wagon to racing. 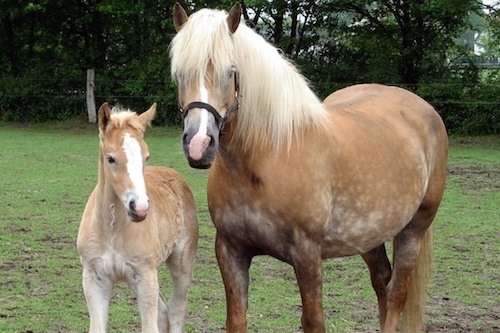 The first cloned horse in history was a Haflinger mare in 2003 located in Italy. Scientists believe that the first ancestor of the horse today that is known of lived about 50 million years ago and is called Eohippus. It had four padded toes on the front legs and three padded toes on the back legs. The world record for the highest jump ever made by a horse is held by a horse called Huaso. 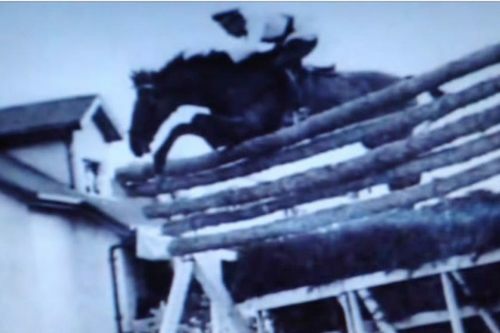 This horse jumped 8 feed and 1 and 1/4 inches on February the 5th, 1949 in Vina del mar, Chile. The tallest horse recorded in history was a Shire named appropriately as Sampson. He was 21.2 hands tall (7 feet, 2 inches) and was born in 1846 in England. Horses have 16 muscles in each of their ears which allows them to rotate the ear 180 degrees. Wild horses are known to gather in groups of 3 up to 20. A stallion leads the group which consists of mares and young foals. When young males become colts they are driven away by the stallion and they roam until they can gather their own band of females. The average horse’s heart weighs approximately 9 to 10 pounds. The record for the longest jump in history over water is held by a horse named Something. Something jumped 27 feet 6 and 3/4 inches on April 25th in Johannesburg, South Africa. You can always tell if a horse is feeling cold by feeling behind their ears. If that area of their body is cold the horse will be feeling a chilly. A horse’s teeth take up larger amount of space in their head than their brain does. The fastest recorded speed of a horse sprinting was 88 kph. Most horses gallop at around 44 kph. 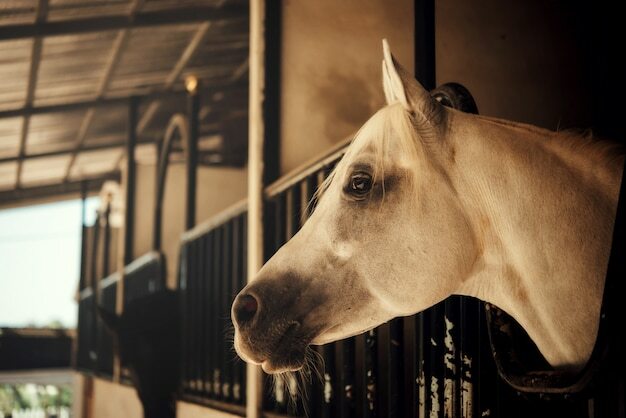 Horses produce around 10 gallons of saliva everyday. See you at Lardner Park, near Warragul for Farm World 2017! We’re going to have a stall at the 2017 Farm World expo. If you’re in the area, drop by & say hello – tickets are $20 and there are going to be over 800 exhibitors. Make sure you grab a free bottle of water and Central Steel Build straw hat! WHEN:Thursday 30th March – Sunday 2nd April. HOW MUCH: Tickets are $20 for a day pass (or $18 if you buy online), $30 for a 2 day pass, and $55 for a full pass. WHERE: Lardner Park, 155 Burnt Rd, Lardner, VIC. (15 minute drive from Warragul). CENTRAL STEEL BUILD: You’ll be able to find us on North-South Street. We’re near the Working Sheep Dog Trial Area. MORE INFORMATION: For more details, including how to buy tickets online, visit the Farm World website.